The improvements of the city are very visible. Refurbishing of old construction (“Altbau” in German), post war construction (“Neubau” in German), as well as in new construction are going strong. 32,000 new private housing units are planned to be constructed in Berlin in 2017. In other words, the market is experiencing a boom. Property — dubbed Betongold, or concrete gold — has become a refuge for savers and a haven for investors. You will find more information on the different areas in the article East Berlin vs. West Berlin real estate. Most importantly, Berlin real estate has been supported by a sustained demographic inflow from all over the world. Berlin’s population has grown from 3,4 million to close to 3,7 million between the late 90’s to 2017¹. Berlin’s population is expected to keep growing. 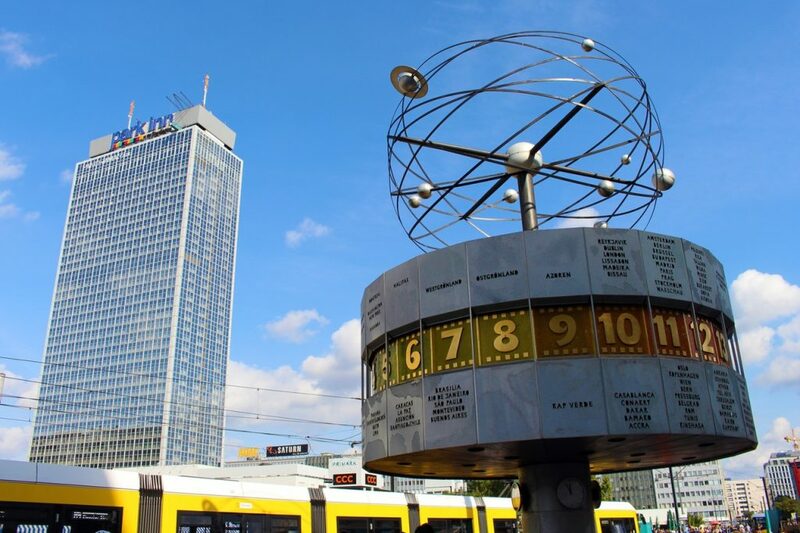 The Berlin-Brandenburg statistics office is forecasting an increase of 7.5% in the period 2015 to 2030. The city is twice as big as the next biggest city in Germany: Hamburg. It is also the 7th biggest urban area in Europe. Most importantly employment is on the rise. In fact, unemployment at its lowest level since the country’s postwar reunification in 1990. Cultural amenity: Museum, squares, historical sites, churches, etc. Germany has been graded as one of EU’s countries with the highest social progress index4. Clearly, its capital city is definitely a mirror of that fact. 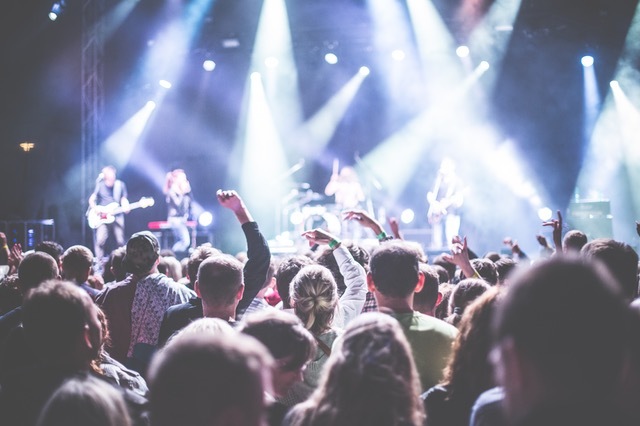 These factors help explain why millennials floc every month by the thousand to live there. The new Berliners enjoy a great life quality. Crucially, this explain why the birth rate has skyrocketed. Berlin has one of the highest birthrates of all EU. The city is shaping up to be one of the dynamic creative and media hubs in the western world. The ongoing period of decreasing interest rates has given wind to the possibility to access to housing. Simply said, mortgages have been cheaper and relatively easier to access. Obviously, this factor may change in the coming month and years. As we know monetary policies fluctuate depending on global trends. Germany has the lowest ownership rate per capita of all Europe. Berlin is no exception to this situation. Germany’s homeownership rate remains quite low. It was 43% in 2013 compare this to France 54,8%, or the UK 70,7% 5. Dramatically lower in Berlin, home owners represented merely 15% of the market. These number come from a census made in 2013. This is partly an inheritance of communism in the former East Germany. Fundamentally though a cultural inclination of ze germans. Effectively, this makes Berlin a renters market. As a counter effect to rents flying up, Berlin has strong municipal rent stabilization policies. For the investor or the individual who wants to buy a home this means finding an empty dwelling can be hard. Germany has the strongest economy on the old continent. In 2017, Germany has overtaken the UK as the fastest growing economy in the G7. Its growth was fueled by domestic demand as government and consumer spending rose. Germany’s statistics office, Destatis, described the country’s economy as “solid and steady”6. First of all, Berlin offers a stable canvas for investors and Berliners to acquire real estate. The city has tenant friendly attitude which keeps the market controlled and stable and its inhabitants protected from over speculation. 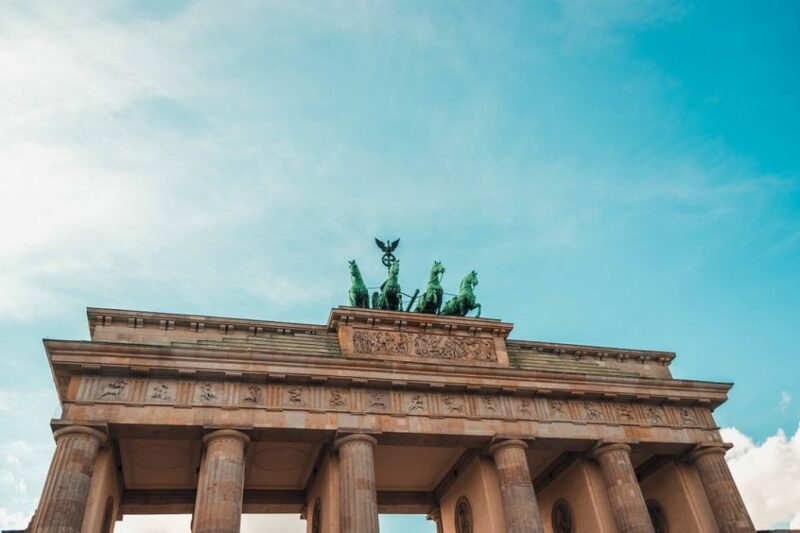 In addition, various incentive programs and subsidies exist in Berlin for entrepreneurs of all levels. For example, a 5000 euro subsidy is offered to any new freelancer presenting a valuable business plan to the Berlin chamber of commerce. Brigitte Zypries Germany’s Economics Minister announced in April 2017, “an additional 1 billion euros ($1.06 billion) annually for extra measures to boost innovation“. A large part of this sum should help Berlin companies. Specifically, the government plans to support companies with less than 1000 employees. In the realm of rental income, a standard tax deduction of 8004€ is applicable for residents. Meaning, if your rental is producing 12000€ of income, your taxable income would be 3996€. You get to deduct 8004€ out of the collected gains. Noteworthy for a (foreign) buyer : There is a 10 year tenant protection given to tenants living inside of a building while it is being privatized. I.e., the next owner of the apartment will have to wait 10 years before he/she can legally make use of it. Naturally, individual severance negotiations can take place with the tenant. It is not uncommon for such deals to be in the thousands of euros. Five figure amounts can be expected for larger apartments. However, legally a severance deal can only occur with the current owner. This is true even if the agreement is made in front of a notary. In other words, this means a buyer should not buy based on an agreement with a current tenant. Simply said, this contact has no legal grounds in court. Best is the seller is included in this proceeding. This can spare a buyer some very painful surprises. In 2016, the Berlin real estate offered asking prices for rents of 9€ square meter in Berlin². Compare this to Amsterdam 21€, Paris : 30€7, or London 50£8. Given the constant inflow of population and limited property, the rental market is quite competitive. It is not rare to visit an apartment in groups of 20 people. Therefore, new lease contracts can have significantly higher rent prices than the median market price. Unlike many cities around Europe, it is legally possible to sub-rent an apartment in Berlin. This process is know as Untermieten. Therefore, many new comers in Berlin benefit for this flexible option to find their first room in a flat. As in many cities, living with roommates is particularly popular among the youth of the German capital. These apartments are called WG (short for “Wohngemeishaft”). Landlords have historically been are quite open to WGs though this has recently changed. The Berlin Mietspiegel (ger: rents reflector) is a common indicator in Germany. It is not an official index and updated every 2 years it is a good reference in the real estate market. It offer specific price brackets for rents applied per street / bloc / and even building. This bracket is evaluated on the basis of a general expertise of the quality of the building: Ages, condition, infrastructure, maintenance, etc.. Vast deviation for the prices of the Mietspiegel will usually be accepted due to specific improvements on a property, an apartment or commercial space (example : marble or heated floors, or other luxury amenities). The German housing market was one of the few to avoid a massive correction in the wake of the 2008-09 global crisis. Berlin has been a safe haven for investors. In the last 8-10 years adroit investors and owners have doubled their equity and even more. 2016 has been a very solid year in Berlin. Prices rose 7.7% to a median price of 3,036€. Appartment buildings rose even more. The company CBRE reports a of over 15% for apartment buildings. Importantly though, Central areas have a much higher asking price situated between 3,500€ and 4,500€. Sometimes it is higher. Indeed some luxury flats have sold for 17000€ / square meter. However, this is still a fraction of the price of some other European cities. 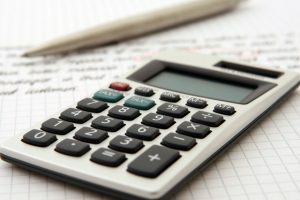 Closing costs based on a %age the property closing price. In Germany, a real estate contract has to be signed at the office of the public notary. The Berlin office and investment market is generating record results. One of the biggest players in the market is Colliers together with CBRE. Furthermore, employment number on the service sector are on the rise. This results in record level in new leases of rental for office and retail space. The strong Berliner start-up scene also supports these records. Vacancy rates in the commercial space in Berlin have sunk by a staggering 30% in 201610. Additionally, their is an upswing in the hotel / hospitality industries. This factor increases in number of rooms available, the average daly rate and the revenue per available room. Berlin has firmly established itself as one of the most popular destinations in Europe for international tourists11. Regardless or of tourism, the main driver is the solid employment market and healthy local economy. Hundreds of thousands of square meter of office space are being built and rented out in Berlin in 2017. The dynamic capital of Germany as seen some major development projects succeed. Often privately managed projects have been more successful than public endeavors. An iconic example of public failure is the disastrous attempt to build an new airport. Other more minor catastrophes have been going in on as well. For example with the Berlin State opera, the Statsoper. Besides, the Pergamon Museum, the Federal Intelligence Service (BND), have also been massively mismanaged in their developments. Real Estate Bubble in Berlin? Some economist warn that their may be a real estate bubble in Berlin. 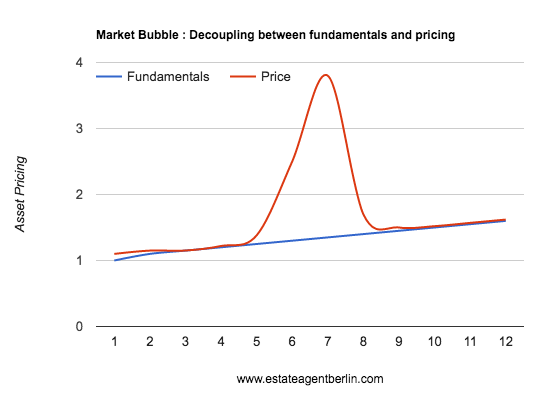 If the pricing of real estate assets continue to grow too rapidly compared to their underlying fundamentals value a bubble may the Berlin real estate market out. This phenomenon is called decoupling. Real Estate Bubble : Assets and their underlying fundamentals disconnect. Not really bad. True, the income of the average Berliner, hasn’t increased as much as local real estate prices. A full fledged bubble is associated with higher, and faster rise of pricing. Crucially, it also must be excessive debt used to invest in the massively inflating assets. Remember the subprime bubble? It is not the case in Berlin real estate. Unlike Americans, Germans are notorious savers. Though many foreign investors are pouring money in Berlin, they are mostly buying with cash, not debt. That said, the market is under pressure. Berlin apartments started becoming less affordable : cost of financing has gone up compared to the average private household income. Rents to Income ratio is also showing the same tendency. If their is a bubble it will be a german style beer bubble and not a american big loud chewing gum bubble. Berlin offers a flurry of real estate agents. Unfortunately, not all of them speak good english if at all. The levels of professionalism varies a lot. Personally, I have experienced the weird and the wonderful. One must get a good recommendation and be as specific as possible with the brokers. Usually, a good way to vet an agent is to ask him how much property he/she owns. In which areas does he invest and why? I would be happy to help you out personally. Feel free to contact me at info@estateagentberlin.com. Thank you Maekus for your nice comment! I try my best to bring value to the world.